Help a detective in search of the missing. 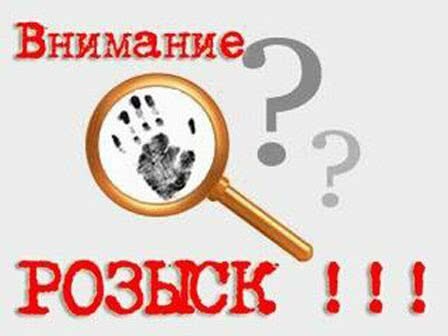 Operative search of people in Lutsk. Professional tracing service people. In today's world to get lost quite easily as losing touch with family and close friends. So today is becoming more and more popular detective services such as the search for relatives or people search by last name. Today fate may scatter even the closest relatives around the world. At the same time, even the availability of sophisticated communications technology is not always conducive to conversation. But as practice shows , if there is an acute need to talk to once a close friend who left his mark is lost, and the communication is not possible . Then search for relatives leads many to the private detective . Detective Agency " Private detective Luck " is ready to promptly organize a search to relatives with whom you have lost. Tracing in our agency is engaged in tracing service people , which is composed of experienced investigators who have distinguished themselves in the past conduct of operational-search activities. For them to find the person you have lost sight of , is not difficult thanks to the experience , as well as a wide range of relationships with such professionals in other regions of the country and beyond. It may also be searching for relatives with whom you have never talked before. We also provide search for relatives by the name and search for people by name, with whom you have no family ties , but you want to find. Already this information for our detectives will be enough to get you on the right track man. In addition, we are able to find a person by phone number. Detectives say that in addition to family members often search for ex-lovers , friends, schoolmates , classmates and debtors. Note that to find someone through the phone these days is not so easy as it seems. Specialist must do hard work to find a person by phone number in the absence of other data. Those who believe that today it is actually done through the Internet, are sadly mistaken . Find a person by phone number through any Internet - base can only be the case if the room itself is bound to a specific person somehow got into the network. Otherwise, it appears on your screen just a meaningless set of numbers . Note also that the search for people by name or phone number , as well as search for relatives with whom you have lost contact, is outside the competence of law enforcement. In this issue you will only private detective . However, there are situations when people search falls under the direct jurisdiction of the police. Typically, a search for missing people missing. However, you should be prepared for the fact that deploy quickly search for police can not , as the law stipulates that it will take three days since the disappearance of a person before it will start to look for. Therefore, if you do not want to waste time and idle search of people in the Volyn region and beyond can quickly organize our detectives . They are in hot pursuit of the whereabouts of a missing person before the police can get to work. Particularly relevant search efficiency with the loss of children, who might get lost , run away from home or disappear for other reasons. Our agency is ready to facilitate the rapid search for children and people who are missing . On the basis of what information the detective can find a person ? For its part, you must provide the detective with a maximum data direction you want the missing person . This can be a full name and date of birth and place of study or work telephone number, and much more. This will greatly facilitate the work of the detective and guarantees fast results . At the same time, we understand that customers may have a minimum of information about the object search. Our detective is ready to deploy a search of people with at least one significant fact. I helped the agency establish effective internal control in the company, after which I clearly understand who is doing what my employees during working hours and optimized state. I have never in my life thought that I could change my favorite people. For fun decided to test the loyalty, and he took it and pecked. At first, I suffered a great deal, but now I understand that all the better and it is good that I did not have time to connect with it life. Thank you, that opened my eyes. At the last moment my man, who was a witness in my case (car accident) has refused to appear in court. I needed a real witness of the accident, which established lightning detectives. I even did not even hoping that someone will confirm my words. Opponents argue that I have not missed the turn, even though it was he broke the rules. In general, I witness helped get the truth.